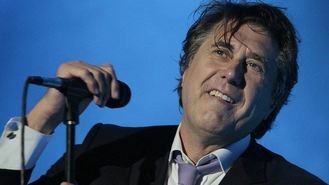 Bryan Ferry is to receive an honorary degree from Newcastle University. The Roxy Music singer and songwriter is being made an honorary Doctor of Music from the university where he graduated in Fine Art in 1968. Four years later, his band emerged and became one of the most influential of the 1970s, producing classic albums such as For Your Pleasure and Avalon. Bryan, 69 and born in Washington, Tyne and Wear, said: "I feel honoured to have been awarded this doctorate from my former university. "I enjoyed my time at Newcastle, and was fortunate to study with some great teachers and fellow students. "It was an inspiring time to be an art student in Newcastle, and the city also had an exciting music scene. "Music and art have guided my life, and it all started at Newcastle University." Newcastle University's registrar, Dr John Hogan, said: "We are delighted to welcome back and honour one of our graduates who has achieved so much in his field. "Newcastle University has an excellent reputation for education in art and music and Mr Ferry is a great example and inspiration to our students graduating in those disciplines this summer." Paul Oakenfold has said that everyone wants to be a DJ these days. William Orbit has rallied to Britney Spears' defence after a clip of her singing without the benefit of Auto-Tune was mocked for dodgy vocals. Carl Barat has said The Libertines are preparing to write new music. AC/DC singer Brian Johnson has been awarded an honorary degree. Robin Thicke's album - named after his estranged wife - has failed to make an impression in the UK. Grammy-winning musician Andrew Dost of chart band fun. has been asked to write some soothing music - for dogs. Taylor Swift has said she doesn't think that the music industry is dying out from recent changes - in fact it is just coming alive. Example has said his new album has a magic quality to it, thanks to a special microphone used by Madonna.